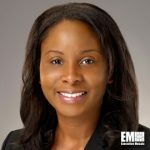 Takisha Schulterbrandt, formerly account manager for the Department of Health and Human Services at Leidos (NYSE: LDOS), has joined ManTech International (NASDAQ: MANT) as vice president of health and human services. She will lead ManTech’s health business group in its work to deliver information technology services to HHS and its operating divisions, the company said Thursday. Schulterbrandt, a two-decade biomedical and clinical research veteran, most recently helped Leidos deliver IT services to the National Institutes of Health, the Centers for Medicare and Medicaid Services and the Food and Drug Administration. Her career also includes management and research roles at Kevric, University of Maryland, George Washington University, Georgetown University and the Substance Abuse and Mental Health Services Administration.